Join Dr Priyamvada Gopal at Heffers bookshop as she talks about her new book, Insurgent Empire: Anticolonialism and the Making of British Dissent, in conversation with Dr Christian Hogsbjerg. It is a book that reframes the narrative, focussing on how resistance in the colonies changed British ideas of freedom. Much has been written on how colonial subjects took up British and European ideas and turned them against empire when making claims to freedom and self-determination. The possibility of reverse influence has been largely overlooked. Insurgent Empire shows how Britain’s enslaved and colonial subjects were not merely victims of empire and subsequent beneficiaries of its crises of conscience but also agents whose resistance both contributed to their own liberation and shaped British ideas about freedom and who could be free. 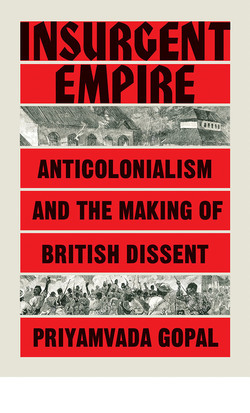 This book examines dissent over the question of empire in Britain and shows how it was influenced by rebellions and resistance in the colonies from the West Indies and East Africa to Egypt and India. It also shows how a pivotal role in fomenting dissent was played by anticolonial campaigners based in London, at the heart of the empire. For more information on Priya’s new book please see here – I am delighted to be joining Priya to help launch it in Cambridge on 6 June. After the horrific recent attack by ‘alt-right’ racists and fascists in London on Bookmarks bookshop – a longstanding socialist bookshop ‘founded in 1967 in a suitcase’ according to Ian Birchall, I thought the least I could do would be to just briefly put up a post in solidarity with Bookmarks. As someone who is proud to have had two books published with the help of Bookmarks bookshop in the past – Chris Braithwaite: Mariner, Renegade and Castaway (2014) and (as co-editor), Celebrating C.L.R. James in Hackney, London (2015) – indeed we had the booklaunch for the little booklet on Chris Braithwaite in Bookmarks bookshop itself – I managed to pay them a visit today (and bought a few books, and a nice anti-fascist greeting card – see photos below). Fascist attacks on left wing (and black, women’s and LGBT+) bookshops are of course nothing new, and as Bookmarks manager Dave Gilchrist rightly noted in the Guardian, obviously have chilling historical echoes of ‘book-burning’ in 1930s Nazi Germany. 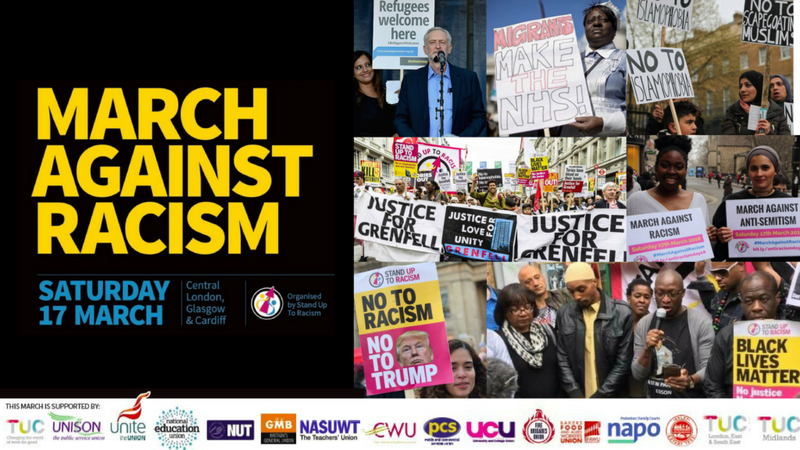 In the current climate when fascists internationally are more emboldened and confident than ever thanks to the normalisation of racism by the likes of Trump and his myrmidons, we urgently need to come together to build a united mass movement against the far right that can turn the tide against them. I would also urge anyone reading this who has not already done so to visit Bookmarks either in person or through their website online and buy a book out of solidarity. Two new exhibitions out now in time for Black History Month 2017 feature the life and work of Chris Braithwaite – in Liverpool and in London. In Liverpool, at Merseyside Maritime Museum there is an exhibition based largely on the work of Ray Costello, Black Salt: Britain’s Black Sailors and ‘reveals the contribution Black seafarers have made to some of the most significant maritime events of the past 500 years’, and runs until September 2018. 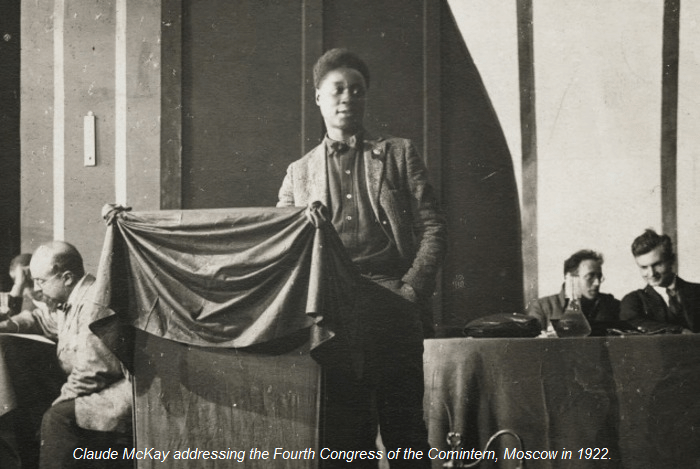 2017 marks the centenary of the Russian Revolution, and among the many conferences and events being organised to mark the anniversary I am co-organising one entitled ‘The Red and the Black – The Russian Revolution and the Black Atlantic’ which will be held at the Institute for Black Atlantic Research (IBAR), University of Central Lancashire, Preston, from the 13-15 October 2017 – for more information please see here, which has details of how to register and a provisional programme to download. Keynote speakers are Professor Winston James (University of California, Irvine), Dr Cathy Bergin (University of Brighton), and Professor Hakim Adi (University of Chichester), while there will also be special performances from Linton Kwesi Johnson, Tayo Aluko and David Rovics. Last month I attended the funeral of Darcus Howe, great-nephew of C.L.R. James and someone I had the privilege of getting to know a little over the last few years of his life, having first met him when he agreed to speak at a conference I helped organise to mark ‘Seventy years of The Black Jacobins‘ in 2008 – and someone whose generous support for my work on James since then I will always appreciate. ‘I am an immigrant’, he defiantly told me one of the last times we met – a great statement in the context of the rising racism underway in Britain – and his thoughts on Nigel Farage were very memorable. ‘He is what I call a “talkative” … he babbles inanities’. Anyway, by way of tribute to Darcus, I thought I would link to a short obituary I wrote for Socialist Review – Darcus Howe: Black Power in the New Left. RIP Darcus.